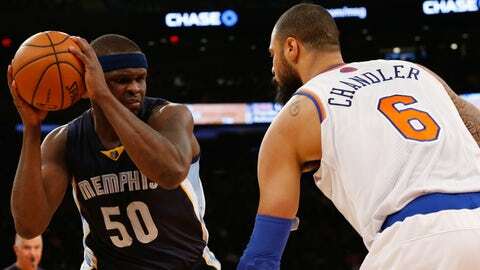 MEMPHIS, Tenn. — To honor Memphis Grizzlies forward Zach Randolph for all his charitable efforts in the Memphis community, Mayor A C Wharton, will declare Friday, Dec. 27 "Zach Randolph Day" in Memphis. Randolph will be on-hand to accept the proclamation and to host "Zach Randolph Day" benefiting Le Bonheur Children’s Hospital at Walmart Neighborhood Market (2856 Hickory Hill Ext., Memphis 38115) at 4 p.m. CT. Leading up to the big day, customers at this location will have the chance to make a monetary donation to Le Bonheur Children’s Hospital for a chance to win an autographed item by Randolph. On Friday, Mayor Wharton will tip-off the program with the official proclamation to Randolph at 4 p.m. Randolph will then have a meet and greet with a class from Balmoral Ridgeway Elementary School. The class was chosen through a fundraising contest the school recently held to raise money for the childrenâs hospital. Fans who want to support the Memphis Grizzlies and purchase 2013-14 Season Tickets or 5-Game Packs can do so by calling (901) 888-HOOP or going online to grizzlies.com. Season Tickets start at $11 per game. For more information on the Grizzlies, please visit grizzlies.com, ‘like’ Memphis Grizzlies on Facebook or follow on Twitter (@memgrizz).